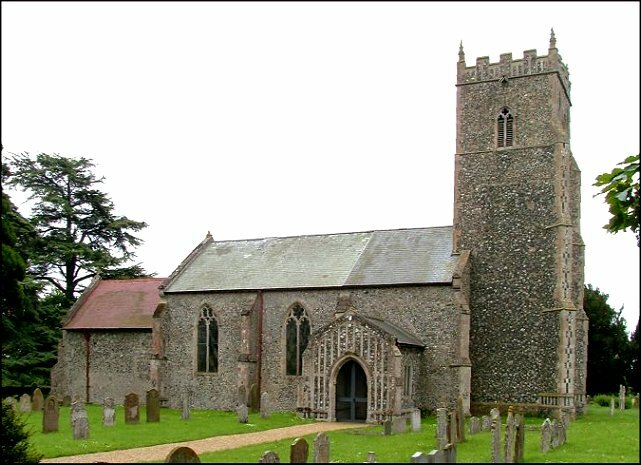 This church is barely a mile from the main Ipswich to Norwich road, but the lanes leading up to St Mary are intensely rural, and snake through an increasingly rolling landscape. 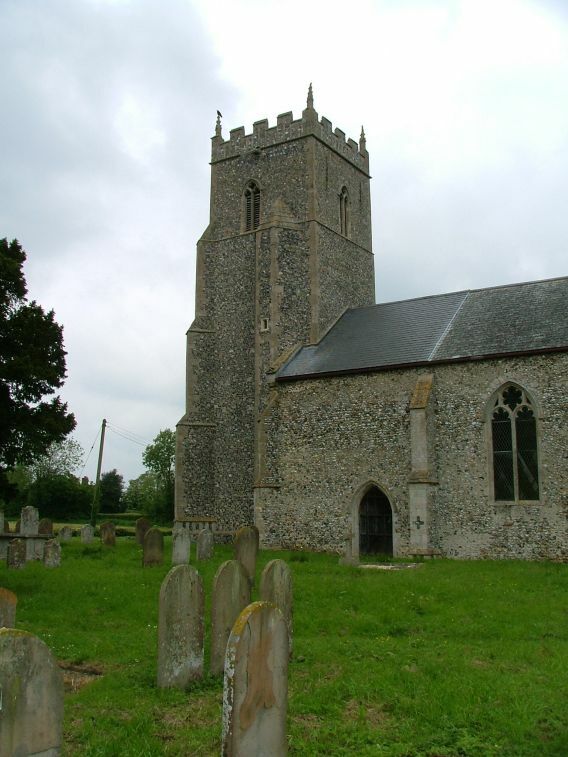 The village has a great feeling of remoteness, quite an achievement barely eight miles from the centre of Norwich. The lane curves widely about the graveyard, a sign of an ancient site, and there are fine views across the countryside in all directions. It is an imposing building, a vital part of the landscape. 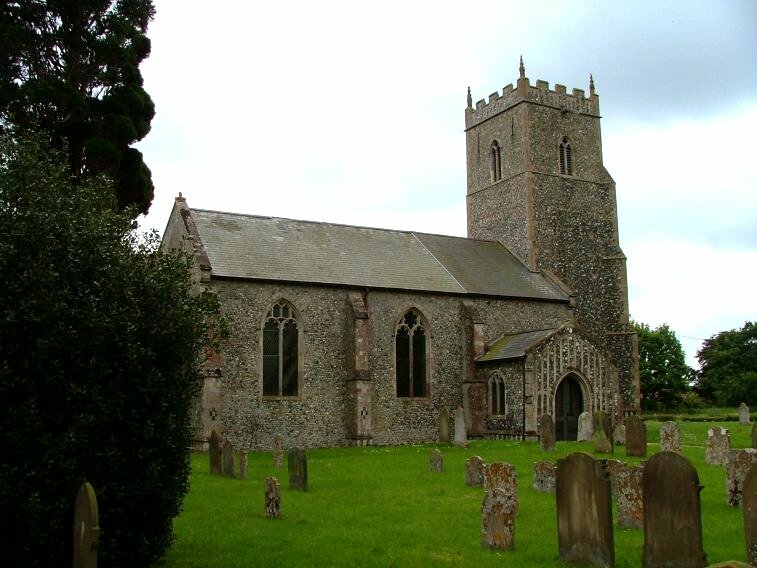 St Mary has some fine Decorated details, but the overwhelming impression is of the 15th century Perpendicular rebuilding of the nave with aisles and a clerestory. 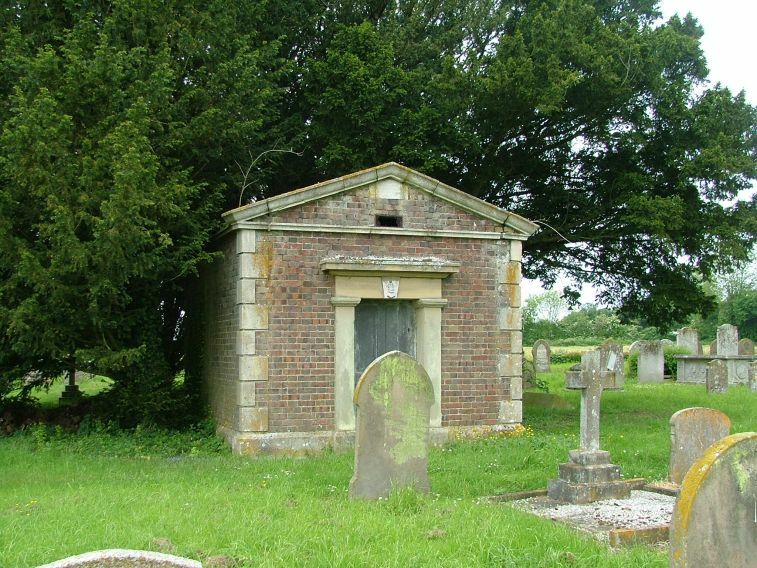 When I first came this way in May 2006, I found the graveyard a delight - not overgrown, but full of wild flowers peeping their heads through the tussocks, a real haven. A jay screamed at me from a high tree, and then fell silent. 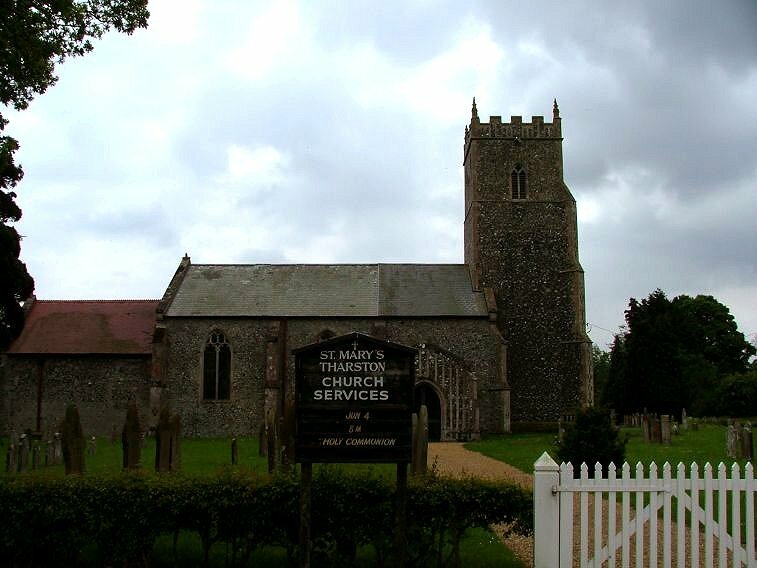 That day, St Mary was one of a dozen churches which I had tried to visit, but was kept out by locked doors and absent keyholders. I began to think that they all must be attending a convention somewhere. This was frustrating, but at least Tharston listed three keys, and there was also a notice saying that the church was open on Saturday mornings. And so, in March 2008, we came back. Now, the graveyard was wilder, and the winds whipping across Norfolk from the north-east shook the skeletal trees. But it seemed fitting, for there is a great wealth of 19th century headstones here, and perhaps it is the fresh breezes on this hill top which have preserved the inscriptions better than most. 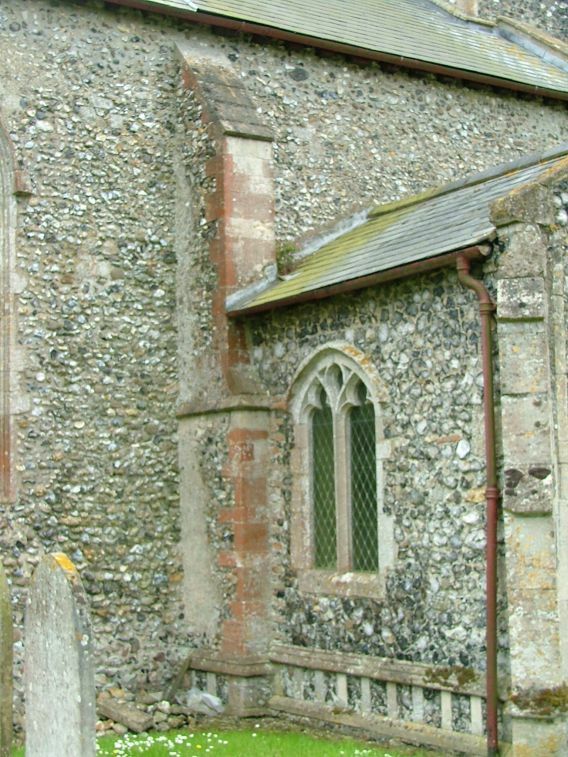 The building itself has a couple of curiosities: on some of the buttresses on the south side are crosses marked out in knapped flint. I think they are consecration crosses, from when the nave was built, and where the Bishop splashed the holy oil to make this a sacred place. Such things survive elsewhere, but not often. And then there' s the porch, built awkwardly into a buttress on the north side. It seemed a strange decision. Tharston is not a well-known church, and stepping inside it my first impression was that it was rather austere, the high, aisleless nave creating a tunnel effect. But in fact, this is a church of great interest. Most notably, the Victorian benches preserve older bench ends, and three at the east end have fascinating carvings on them. They are set in the flank of the bench end, and depict three figures. One is a crowned Bishop holding a mitre and book. Another is an exquisite St Michael, shown weighing souls. Best of all, a third depicts the Assumption of the Blessed Virgin, rayed in a nimbus as angels carry her up to heaven. Little seems to have been written about them, and a little voice in my head began to ask if they could really be medieval. 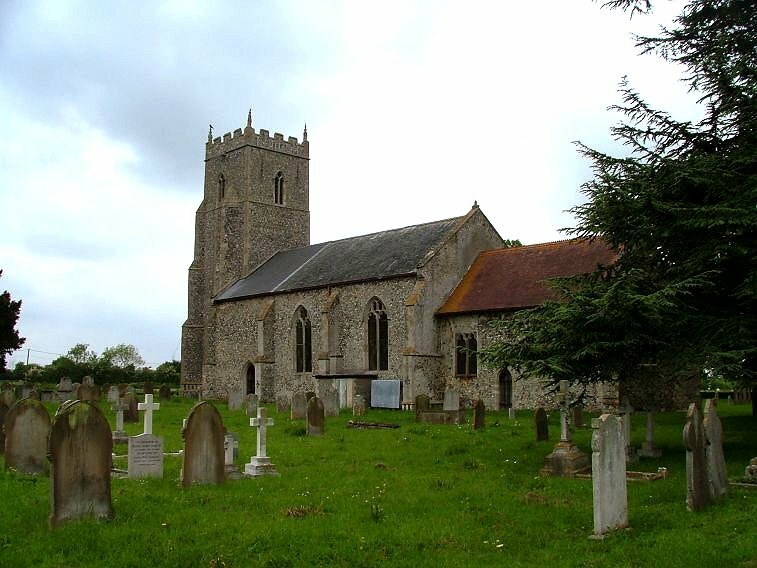 Ann Eljenhom Nichols includes the images of St Michael and the Blessed Virgin in her magnificent subject index Early Art of Norfolk, but she hedges her bets a little by suggesting that they were restored in the 1920s. In this context, I wondered what 'restoration' actually meant. 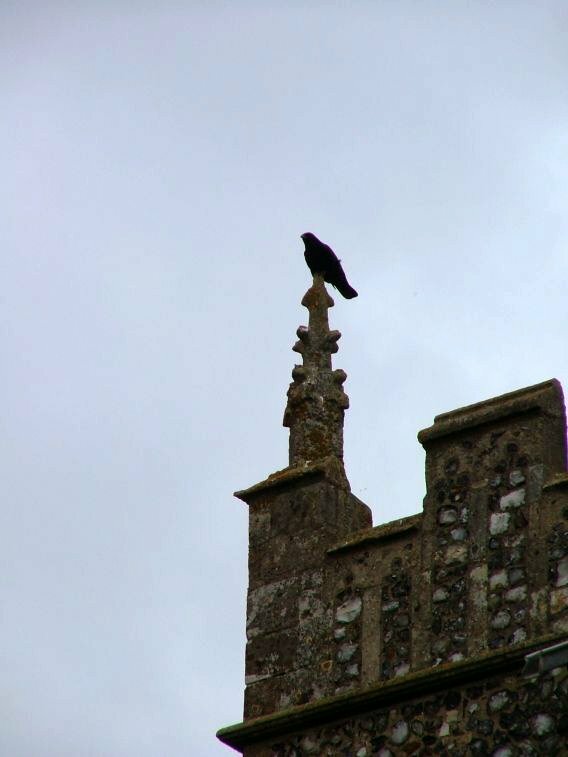 The Assumption in particular would be a fabulously rare survival - there aren't more than half a dozen of them left anywhere in East Anglia, and the others are mostly in stone. Apart from the bench ends, the most striking survivals here are post-Reformation. These are the memorials, mostly to members of the Harvey family, whose mausoleum is to the south of the church. The two best, one in the nave and one in the chancel, are certainly unusual. That in the nave depicts Robert Woode as a 17th century rotting corpse lying on a divan. A hundred and fifty years later in the chancel, General Sir Robert Harvey has a magnificent memorial, wholly secular, depicting two Peninsular War soldiers flanking a litany of his achievements. There are several other interesting monuments, and a First World War memorial in the style of a century earlier, of the highest quality. Presumably, it was the Harveys who paid for it. The patronage of a rich, landed family is one thing, but what I will remember about Tharston is something else again. 15th century fonts in East Anglia commonly depict lions and angels, and there is often something rather formulaic about them, as if they were mass produced. However, the font here is a delight. Angels, lions and Tudor roses alternate around the bowl, but all are slightly different, as if carved locally by a very skilled mason. The angel facing east is my favourite, the late medieval style giving his eyes the appearance of him wearing goggles, and his hair a WWII flying helmet. Beside him, a lion looks pensively down, full of character. The lions around the base are more familiar, proud East Anglian symbols. Pevsner thought that the carver was also responsible for the font at Morningthorpe. It is an outstanding art object, worthy of a visit on its own. The east window is rather curious, and seems to have been rebuilt in the early 20th century at a time when the fashion for the Tudor style was touching buildings of all types. The clear glass is fortunate, but there is also some good glass in the south windows by the Norwich-based King workshop. 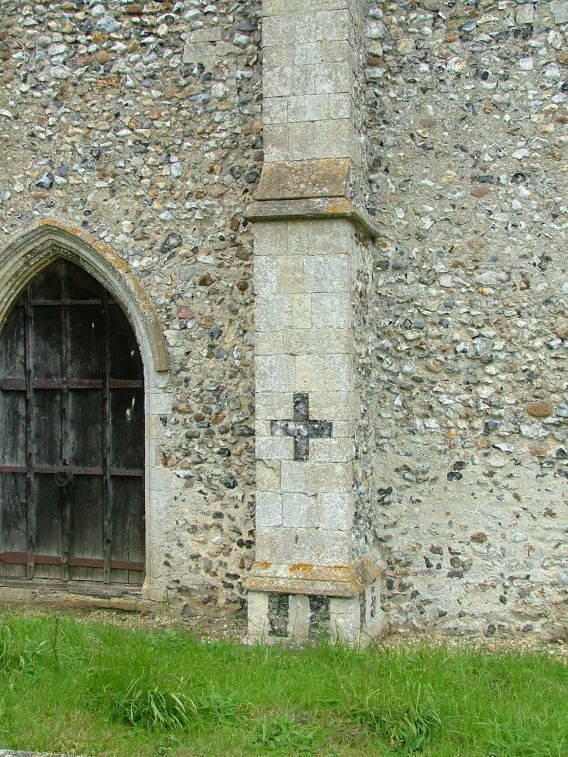 On our journey through these parishes to the east of Wymondham, this was one of the few churches where we found the altar dressed for Lent, a sign that here, at least, the Anglican traditions are still alive and well. All in all, I was really pleased to see inside St Mary at last. It has a great sense of being a touchstone down the long generations, rich and poor. It is a building that is at once a document, a keepsake and a beating heart.